Babies and toddlers have a unique way of making any plain t-shirt look absolutely adorable. Perhaps it's the tiny garments, or the babies themselves, but no one can really say for sure! Luckily, at ShirtSpace, we offer a large selection of plain baby and toddler t-shirts that will have your little ones looking cute as can be! Our collection of blank t-shirts for babies and toddlers comes in a variety of sizes ranging from newborn all the way up to size 7. With such a wide range in sizes, you're sure to find the perfect fit for your kids- whether small or large! In terms of material, we offer 100% cotton and organic cotton options that will surely meet your needs. Our assortment of colors include your classic pinks, blues, black, and white, but we also have many more to add some flare to your kiddo's wardrobe. What's more, our selection of plain babies and toddlers t-shirts also include an array of different styles. If you're in search of a long sleeve t-shirt for a warmer option, a ringer t-shirt for a sportier look, camo for your outdoorsy little one, a side tie t-shirt for a sassier look, or plain tees and creepers for your screenprinting needs, we have got what you're looking for! 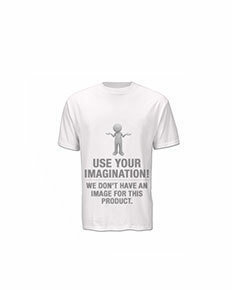 Now, it's only a matter of time until your creative ideas finally end up on the front of your little one's t-shirts! If you are in search of one or many plain baby and toddlers t-shirts, you're in luck! At ShirtSpace we do not have any order minimums so you are free to order any quantity, large or small! With such affordable prices and free shipping on orders over $69, you'll be able to purchase many adorable toddler t-shirts and your kids will be the talk of the town!